I promise I’m working on posts from all of my adventures in the Land of Comestibles this past fall, but for now, I thought I’d share with you how JT and I managed to de-class Pretentious Dinner. What happens when a very hungry Lindsey and JT go to Central Market? 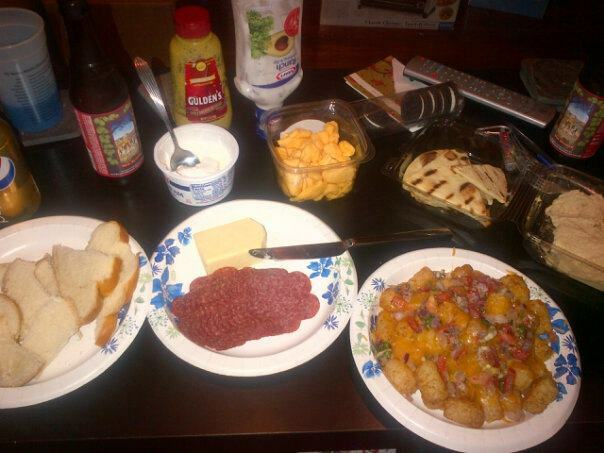 They end up purchasing an absolutely ridiculous assortment of noshes, and pass it off as some kind of meal. We just couldn’t help ourselves; we grabbed practically everything we saw. Everything looked so tasty! It wasn’t until we got home and laid out all of the food that we (okay, maybe just I) realized that our days of Pretentious Dinner were no longer nearly as classy. We used to have things like fruit, cheese, artisinal bread, pastries, and wine. We’ve thrown tailgate brunches with challah french toast grilled cheeses and mimosas (post coming later). We’ve attended food truck park openings, toured breweries, and celebrated my birthday with bacon lollipops. But last night was kind of just one hell of a (delicious) trainwreck. Then it slips just a bit: Instead of wine, we had Hoptober. One of my favorite beers, thankyouverymuch. And finally, the piece de unclassy resistance: Tot-chos. Yeah, that’s a thing. JT and I first had them at Palomino in Milwaukee last month, after getting stranded because of a missed flight connection. But clearly it wasn’t a complete fail, thanks to Tot-chos. Holy hell were they good! Tasty, tasty little tater tots, topped with cheese and pico de gallo, and dipped in sour cream or ranch. Also incredibly delicious: Sweet potato tots. They were probably my favorite, especially when paired with a Lakefront IPA, but I have yet to find either of them here in Dallas. 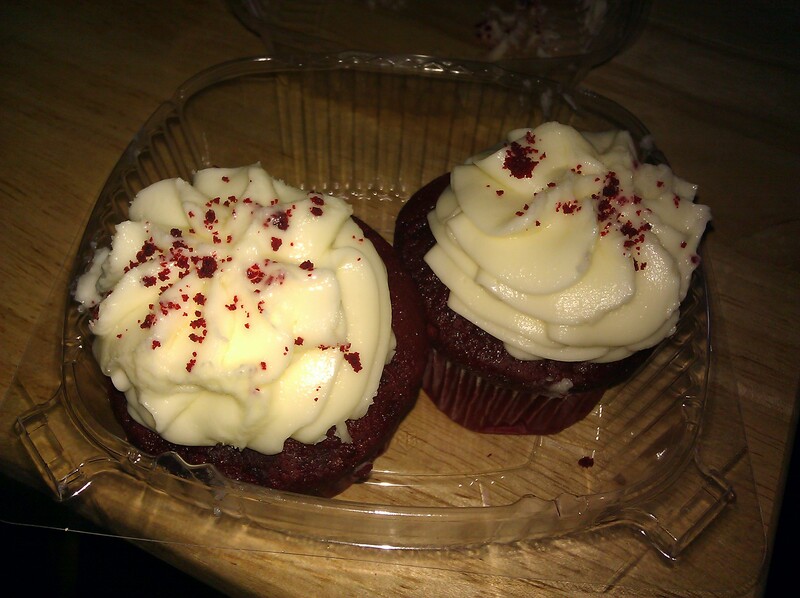 Earthquakes, Hurricanes and Red Velvet Cupcakes Oh My! If you live on the East Coast, you’re probably wondering what in the hell we did this week to piss Mother Earth off. I’m not too moved by so-called natural disasters because the only thing I can do is prepare. I can’t do anything about them otherwise. I’m more concerned about getting stuck in the house without food, wine and toilet paper. 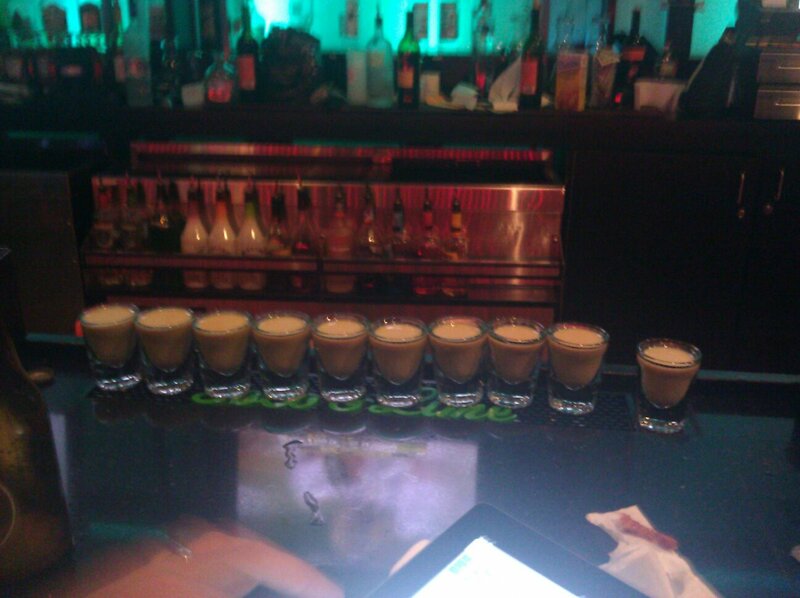 So once the aftershocks wore off, I found myself celebrating Hurricane Irene’s imminent arrival with my co-workers over a few rounds of drinks. I really had no need to worry, after all, it was my plan to be held up at Harrah’s in Atlantic City, NJ making a living on the blackjack table. In comes the dream stompers (Harrah’s)… Friday afternoon just as I’m getting excited about leaving town for a few days, the hotel calls and cancels the reservation unless we can get there before 4pm. What the what!?!? Now I have to come up with a gameplan to hunker down and wait out this storm at my house…without the comforts of room service. NYC, Irene's on her way! On my lunch break, I headed over to the local Target (typically a lunchtime hangout spot of mine) just to get a few things for the weekend. My fridge was empty because I had just come back from Miami and hadnt had a chance to go to the grocer. I lie to myself, saying I’m just gonna get some water, a few non-perishables and cleaning products. Yeah…no such luck. 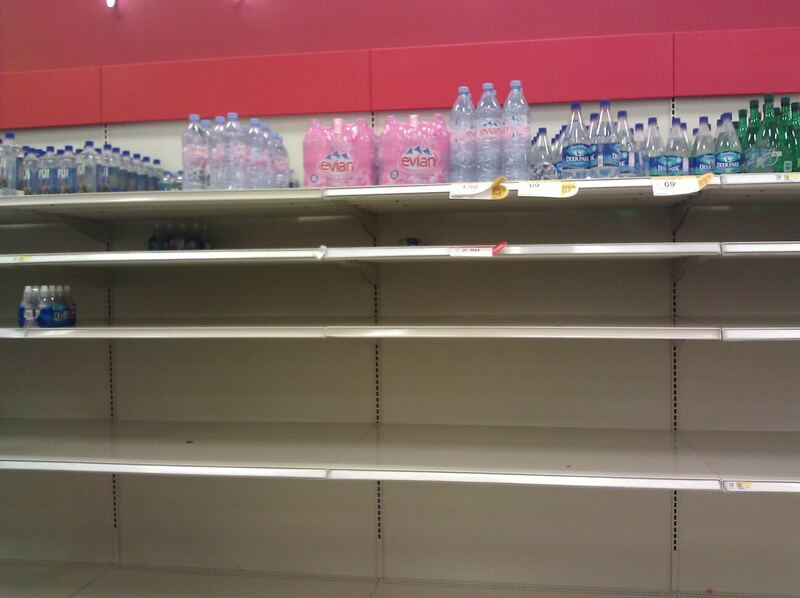 I go straight for the water aisle because I know people are buying it up like crazy to find that all of the “cheap” water is gone and two women are literally fighting over the last two one-gallon jugs of Target brand water. Fiji to refresh my palette and Evian to bathe in...Ahh, the finer things in life. Let’s just say that Target was having a sale on food…I think they were just trying to get it out of there in the event they lost power. I ended up getting my high-end water and everything else from raspberries (which I’ll be using to make my Berry Cherry Brie tomorrow) to Totino’s Pizza Rolls (they were $.68 a box!!!) and topped it off with ingredients to make red velvet cupcakes from scratch. Who knew Target sold cake flour??? I figured, if I was gonna be shut in for the weekend, why not cook for 20. 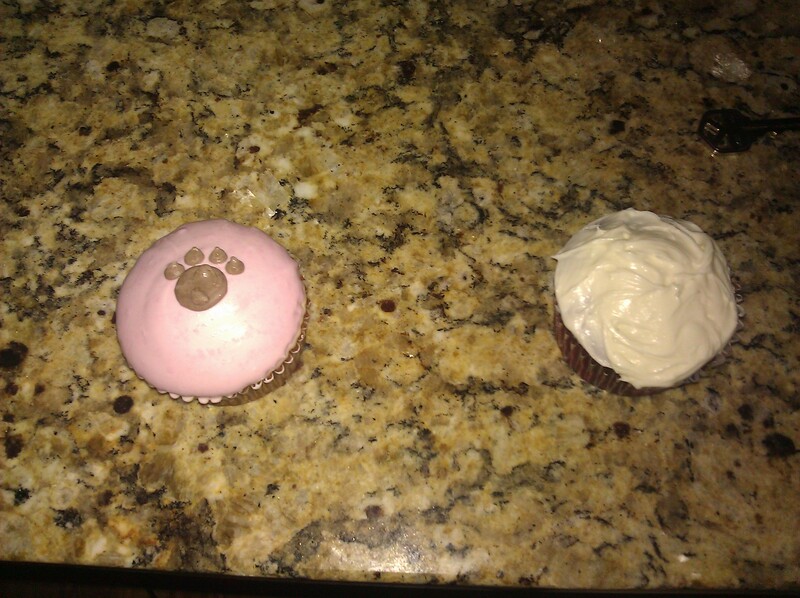 So Friday night, I start working on the cupcakes. I’ll spare you the details of the recipe and just list the one that I use. I love Ina Garten…all of her recipes are just so rich. It’s like when you’re making something that needs that extra umph, Ina has a recipe for it. Check out her lobster rolls. That’s one of my faves. Anyhow, I used this recipe and frosting (insert link), with a few KC style tweaks and came out with the most amazing product. I’ve eaten a half-dozen already. 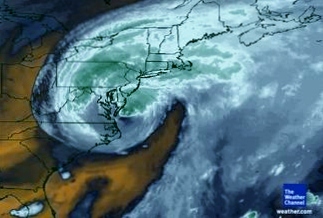 The Hurricane has since arrived and is baring down on Baltimore with all that she has. The wind is shaking my house and the rain is battering the windows, but as long as the electricity stays on, I’m good. Since I had my decadent dessert waiting, I figured it was ok to whip up some store bought tortellini and Prego. That meal was just the fix I needed before I dove in. But I couldn’t dive in just yet. 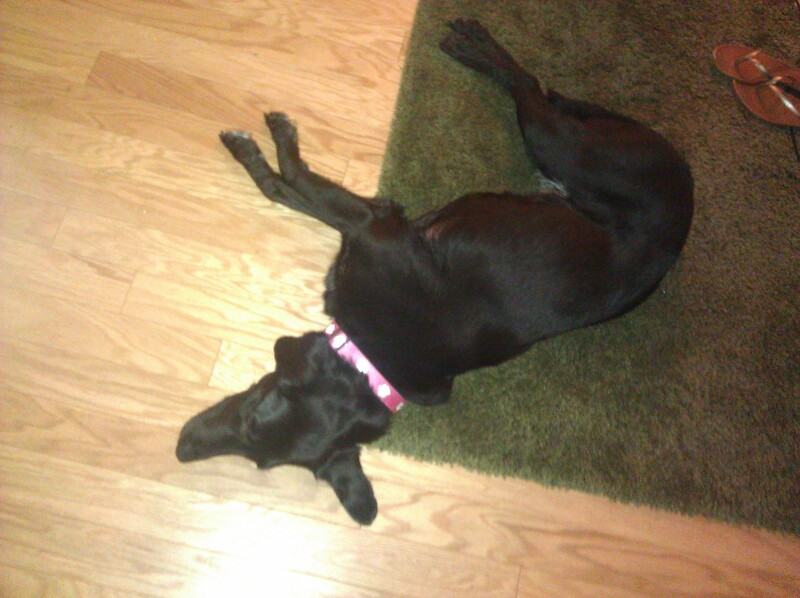 My little hurricane companion Gypsy was clocking my every move just knowing that I was going to give her a cupcake too. WRONG! I don’t share my food with the help. But what I did do, because sometimes she’s a pretty spectacular dog, was stop at Dogma and buy her a cupcake of her own so we could have our at the same time. Success! 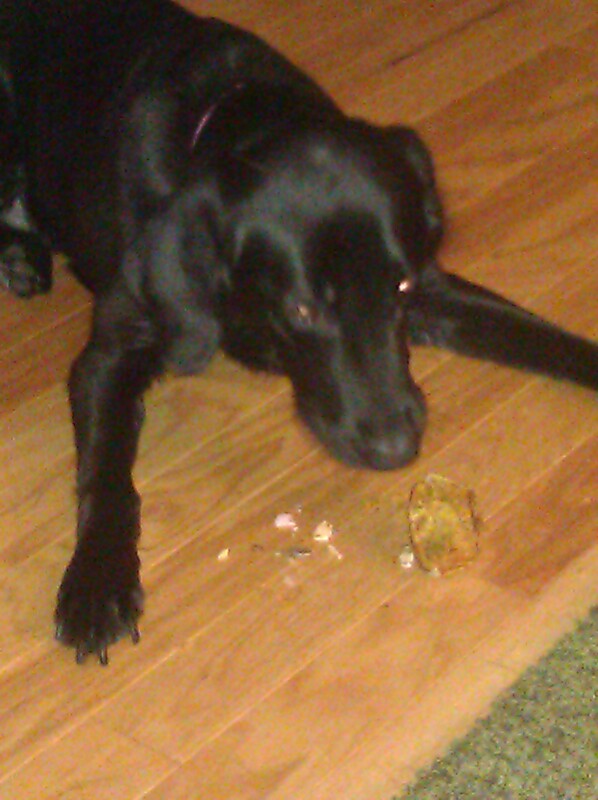 I could eat my cupcakes in peace and she would be happy. After that, I’ve put myself on a cupcake limit and we’re weathering out the storm. Let’s hope that everything and everyone stays safe. Stay tuned for my brie post. Happy to have my weekends back…Part Deux! So I will be starting school for my 2nd Masters in a few weeks and between getting ready for that, planning my vacation next week and looking for places to move, I’ve been slacking on a lot…including the blog. My plan for Saturday was to hang out with a friend during the day and come home to tackle this house from all sides…laundry, packing, cleaning the garage, etc. Well I was still not feeling quite 100% from Friday, so I canceled my day date and just decided I was going to do housework and rest as needed. I knew what my work fuel for the day was going to be, so I called in the order and decided to get boxes for my move while I was waiting. If you reference Holdin’ on like Gorilla Glue to My 20’s, you’ll see a portion of my wine, well really liquor, collection. The bottom of the 8ft wine cabinet is full of different wines and sake. In case you DIDN'T read this! Now I may have discussed this restaurant in a previous blog, but if not, I definitely tweet about it (another reason to just follow us!) all of the time. Teavolve is a quaint little tea spot with interesting décor. I call it interesting because I don’t know how to describe it. (If you’ve been before and would like to give the description a go, feel free.) It really attracts different crowds and has been successful in its years of existence. They also have local acts on certain evenings and an awesome happy hour. And really, I have to give them props…many restaurants open up in the Inner Harbor/Fells Point area, only to close shortly there after due to little or no business and lack of public interest. I’m gonna go ahead and say that their success is because of their menu…the diversity and quality. I’ve tried several items on the menu and have never been disappointed. In the winter, I normally stick with the spiced chai latte and sweet potato tart for a warm and comforting treat. But for the summer, I’ve found something a bit lighter to be obsessed with. 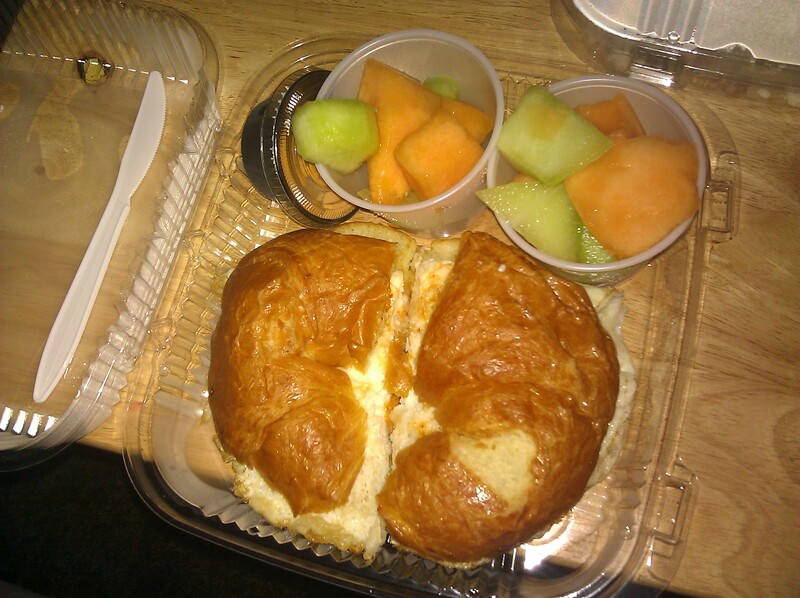 My new favorite from this local eatery is the crabmeat and egg croissant and apple and chicken salad. Now while you may frown at the crab and egg sandwich, I’ll tell you like I told my friend. I’m from Baltimore. Crab, along with Old Bay, is like a universal condiment. We eat crab with our eggs, crab on pretzels, crab in our soup and crab on our crab! And they gave me TWO fruit cups! Sweet! This meal has become an instant classic and I hope that its not seasonal. 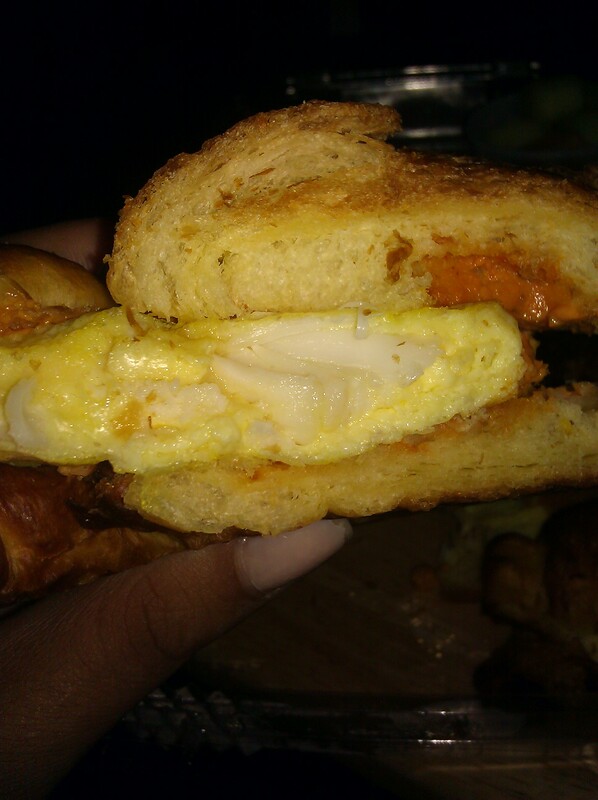 Anyhow, the crab sandwich is an omelet style patty with the crab meat spread through the egg. It’s on a decent sized croissant, but with a minimal amount of chipotle aioli to dress the bread. If there was anything that I would improve on in this sandwich, it would definitely be adding more aioli to the bread. No worries though…I always ask for an extra side, slather it on and get to work. I like my crab with extra lump please! Being the responsible adult that I am, I always like to include veggies into my meal somehow, even if it’s a simple salad. 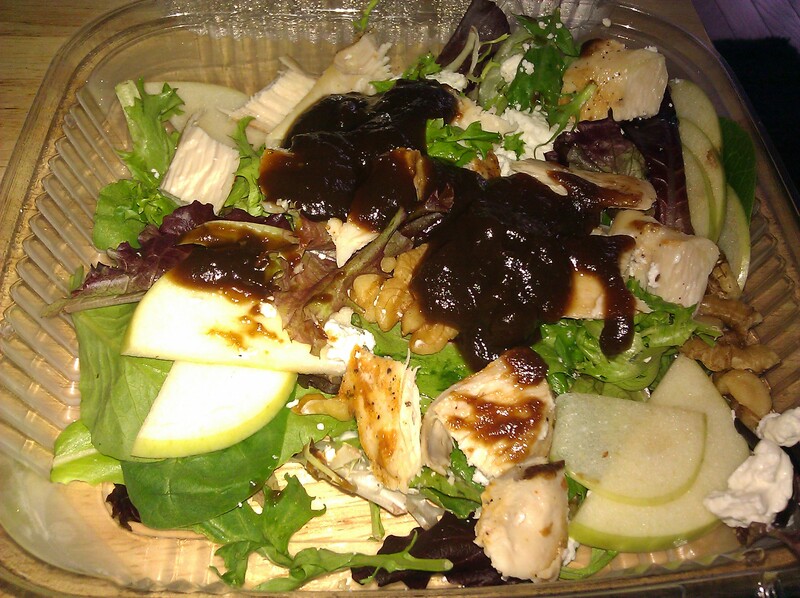 If only this salad was simple… The name “Apple and Chicken” salad seems fairly simple but its quite the opposite. This salad is made with mixed field greens, thinly sliced Granny Smith apples (which are my absolute fave btw), seasoned chicken breast, walnuts, goat cheese (and while I’m not really a fan of soft cheeses, I’ve really gotten sweet on goat cheese here lately) and the piece de resistance, APPLE BUTTER VINAIGRETTE!!! Please don’t be skeptical, this probably the most in-f*cking-genius salad dressing that anyone has ever come up with! It was perfect in everyway. Yeah, so I ordered a salad, with extra dressing of course! I mean, its not like it was Caesar…extra apple butter can’t be THAT bad for you. The salad with all of its apple buttery and goat cheesy goodness!!! Happy to have my weekends back! Typically I play softball year-round and only have a few days to myself during the year between work and my social life outside of softball. This year, after my summer league was over, I decided to take a break from softball, and actually have a few months to get my life together. The past two weekends have been wonderful! I’ve been able to hang out with my friends without dreading playing in a Sunday game with a possible hangover. I’ve been able to just lay in bed all day because that’s what I wanted to do and had absolutely nothing else to do. And most importantly, I’ve been able to cook and enjoy food again. With my newly freed up time, I’ve gone out to some local spots in Baltimore to try new things and get my fix for some favorites. 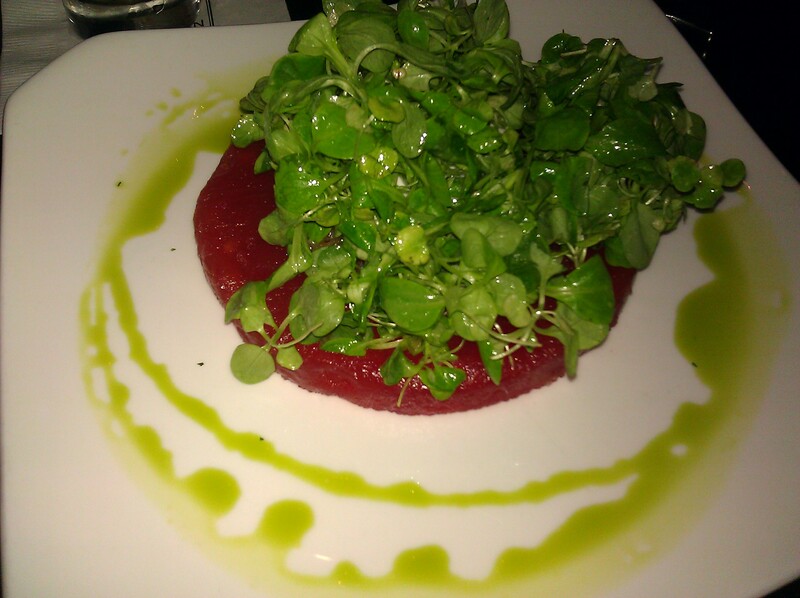 On Friday, I went to one of my area faves, Blue Hill Tavern. It’s a bit of a neighborhood gem that’s becoming more and more popular as time goes on and with good reason. It was there where I first had sous vide pork belly and they later broke my heart by letting me know that its seasonal. I just wasn’t sure how that could be the case…bacon and ham aren’t seasonal. Get with it! Anyway, I met some friends at BHT so they could treat me to a belated birthday dinner. 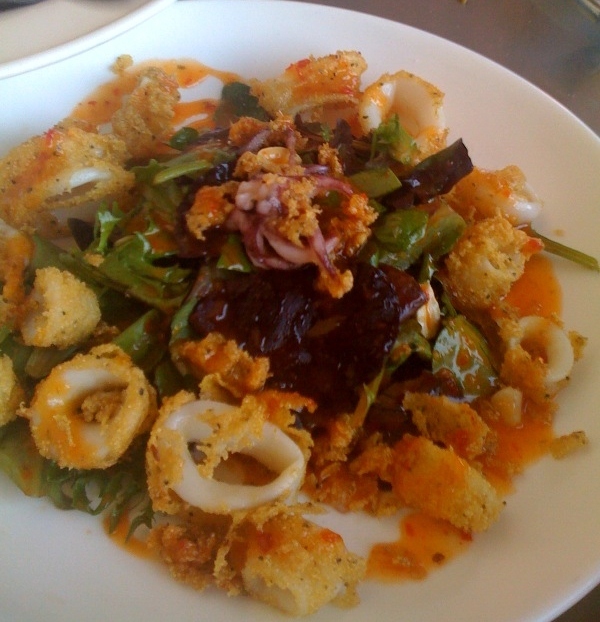 I always start my meal off with the calamari salad. Blue Hill Tavern, by far, has the best calamari that I’ve ever had…EVER! The good thing about this place is that their happy hour is pretty sweet too! It’s from 4pm-7pm with half off appetizers and drinks, along with other specials. Moving along, I always try to get something new in addition to my calamari. I wasn’t feeling too hot, so I was looking for something that was light and not too risky. I was already pushing it with the calamari. I decided to try the menu option of “watermelon”. That’s just how it was listed on the menu. Then the description goes on to let you know that this aint your average watermelon. In fact its, compressed watermelon layered with walnut-honey chutney, goat cheese and mache, topped with a walnut vinaigrette. Now in case you were wondering was mache is (no worries, I just found out too), it’s a really mild type of lettuce and sometimes is referred to as lamb lettuce. If I had to rank all of the menu items that I’ve had from BHT, it would go just like this… 1. Sous-vide pork belly, 2. Calamari Salad and 3. “Watermelon”. I have this newfound obsession with goat cheeses, but never imagined eating it with watermelon. The watermelon was extra sweet and the cheese was so creamy with a little bit of bite. My mouth is watering just thinking about it as I type this. Although, the chutney wasn’t as good as I imagined it to be…it really wasn’t sweet, the watermelon itself compensated for the lack there. After the calamari, watermelon and a few rounds of Blue Hill Mojitos, the post-birthday celebration came to an end leaving us all in anticipation for the next occasion to meet back at Blue Hill. More importantly, I’m in anticipation for the Fall so I can rustle me up a few plates of that pork belly! How do you end a crappy work week? Scrap the happy hour and get Joe Squared wasted!!! Earlier this week I was checking out Food Network’s Twitter feed and saw that a local spot had received the honor of being one of the nation’s 50 best pizzas. The crazy thing is, I’d been driving past this place for years, (for as long as I was able to drive really) and never once thought to stop. And I’m not sure if the reason I didn’t stop was because this silly Baltimore geographical thing, but I’m going to attribute it to that. There’s this thing where if you’re from the West Side, you don’t really do things on the East Side and vice versa. Luckily for me, the vast majority of restaurants, chain or otherwise are located on the West Side…my side of town. Well Jesus take the wheel! I no longer have to deal with the likings of Dominoes and Papa John’s for my pizza fix. So anyhow, after I make my daily trek back from the DC area for work, I planned to have a date night with myself…some pizza, a few beers and Rio. “Lionel Ritchie works every time.” I get to Joe Squared and it’s a beautiful evening. They’ve expanded since the last time I drove and even noticed the place. There was a nice little outdoor patio section where people where enjoying drinks and pizza (of course). But once I got inside, this place was far from your average corner pizza joint. They serve everything from pizza to gumbo to cheesesteaks and everything in between. 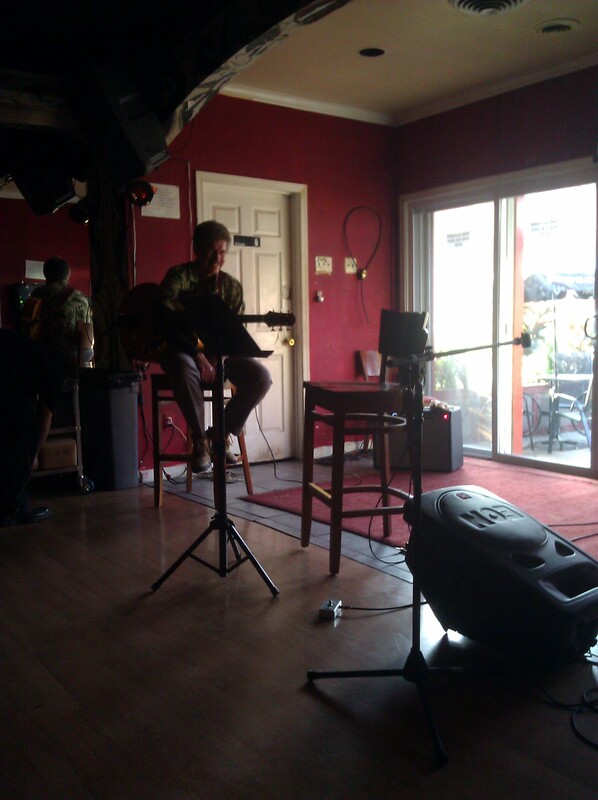 A gentleman was setting up in the corner to play his guitar, live. 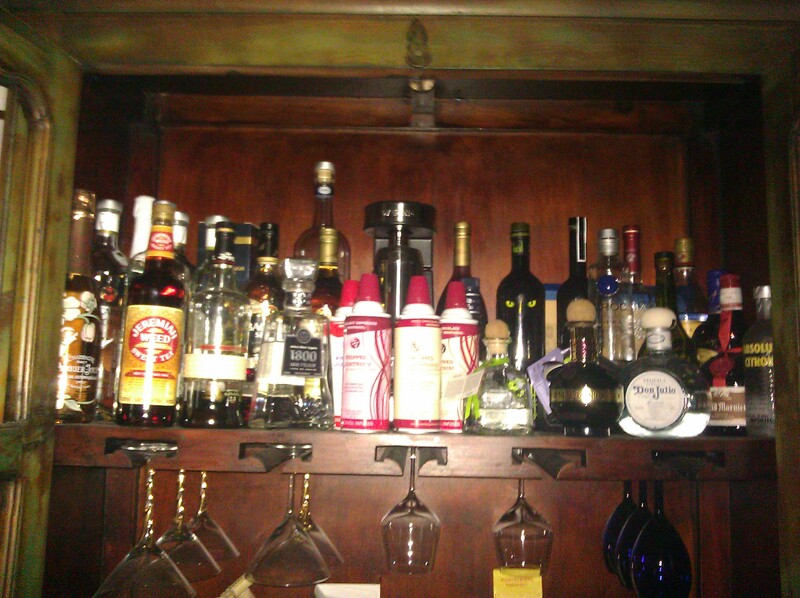 The bar was fully stocked and with what seemed like more import than domestic choices. Score! Now based on Food Network’s choice, I ordered the Flag Pizza. And it doesn’t take an Einstein to realize that the pizza is an homage to the Italian flag. The red stripe was made with red sauce and five, count ‘em five cheeses (Asiago, mozzarella, Parmigiano, provolone and romano). 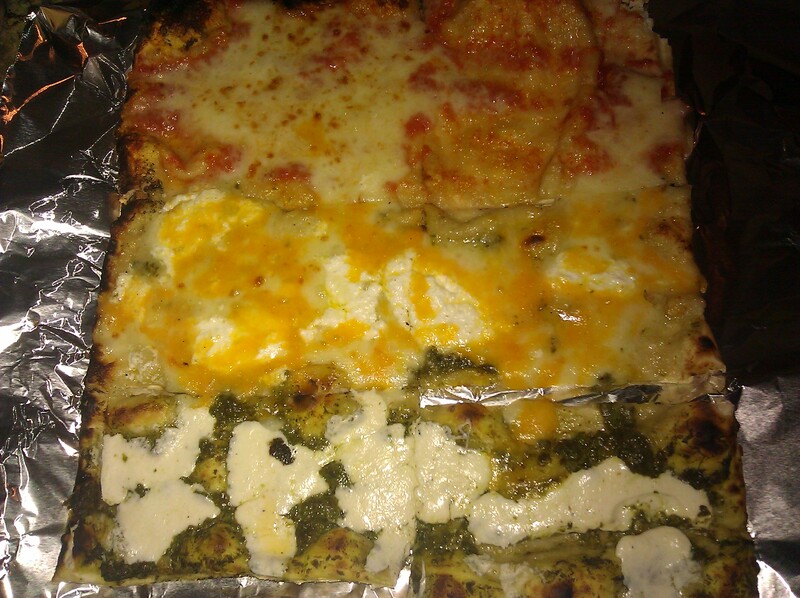 The green stripe was a fresh and light treat, made with fresh mozzarella and pesto sauce. And my favorite out of the entire masterpiece was the white stripe. I don’t know what exactly it was, but it was divine…I plan to go back and just order a pizza made like the white stripe. It was white sauce with cheddar, mozzarella and ricotta cheeses. I’m going to assume that the ricotta was seasoned a bit more than everything else, but it was perfect! I wish I hadn’t gotten a small. *sad face* All six slices and two Stellas later, I was in heaven. Of course I had to get it with extra cheese. Please and thank you! Yeah…all of that said, blame it on the alcohol that this ending is a bit abruptly… I’m pregaming before I get ready to go to my friend’s 29th birthday shindig. This shall be one for the ages. And in typical fat girl fashion, I’m hoping that she has cupcakes!!! Happy birthday Quiana! Casey and Lindsey are engaged in an epic battle of culinary prowess. So they decided to write about it. …also, they want your bad romance. Kendria's Kupkakes Kendria, a Baltimore area baker, creates kupkakes from scratch and customizes them according to your event. The Filipino Foodie All things food, from a Filipino-American’s perspective. The Daily Meal All things food and drink!